I note what you say about guiding your patient’s reading and taking care that he sees a good deal of his materialist friend. But are you not being a trifle naïve? It sounds as if you supposed that argument was the way to keep him out of the Enemy’s clutches. 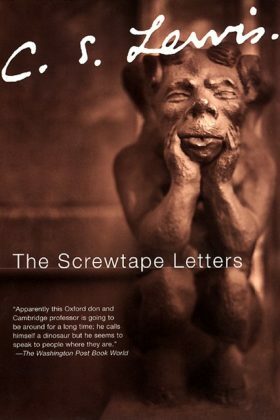 Screwtape is an experienced devil. His nephew Wormwood is just beginning his demonic career and has been assigned to secure the damnation of a young man who has just become a Christian. In this humorous exchange, C. S. Lewis delves into moral questions about good vs. evil, temptation, repentance, and grace.